We have two job vacancies that we are currently looking to fill. 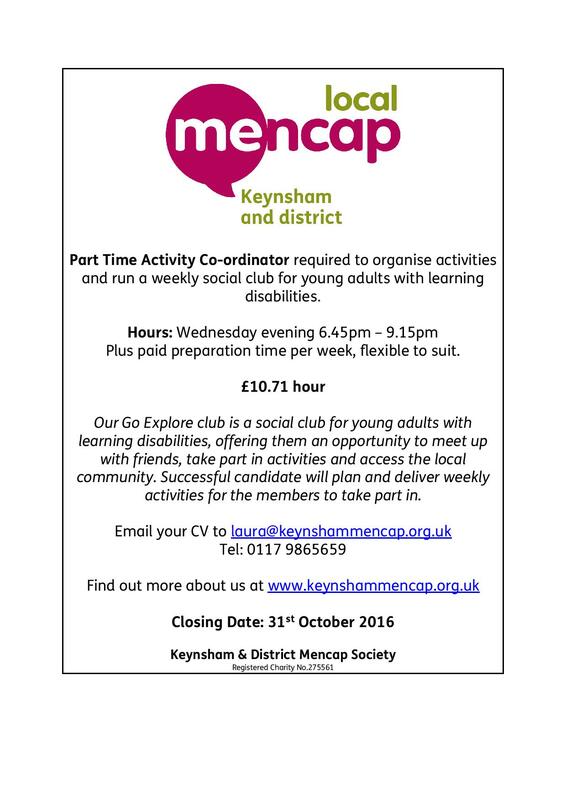 We have a vacancy for an Activity Co-ordinator/Club Leader to run our Go Explore Club, a weekly social club for young adults. 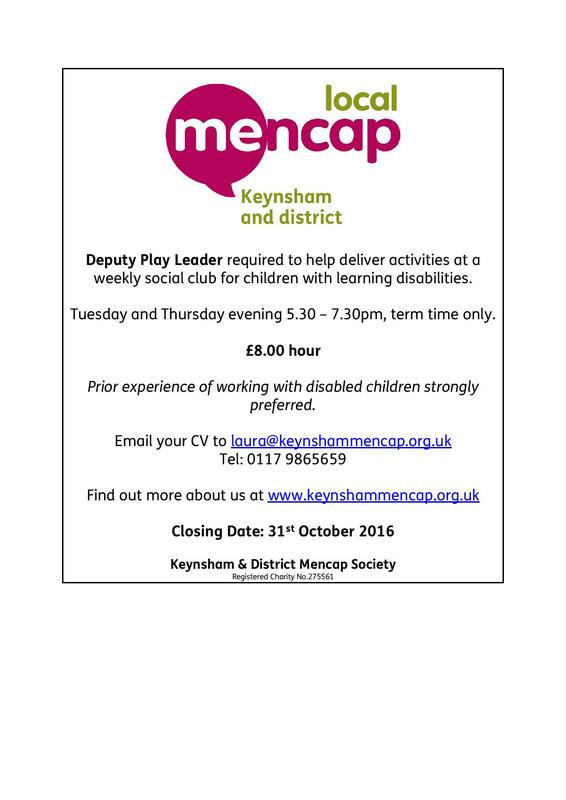 We are also recruiting a Deputy Play Leader to assist in delivering activities at our Keynsham Junior Club for children. Applicants are welcome to contact us with any queries.